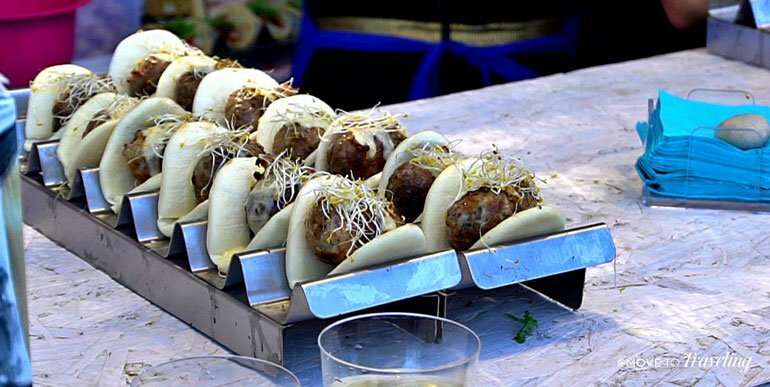 Food events in Spain are some of the hottest new ways to travel and experience this incredible country. 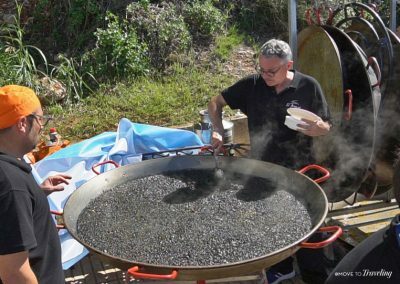 So it’s no surprise that the Spanish Mediterranean town of Denia, designated by UNESCO as a Creative City of Gastronomy, is well along their way to hosting one of best annual food events in Spain. Fortunately for us, it’s also where we live and we recently visited the second annual gastronomy festival, called DNA Gastronomic Festival. Read more and watch the video to learn and see for yourself. If you love to experience the truly local gastronomy as part of traveling, it’s one of the best food events in Spain that you can attend. Want to see our video of the DNA Gastronomic Festival? Just skip ahead and read the story later. The DNA Gastronomic Festival, demonstrates that gastronomy incorporates more of our senses than just taste. Even things like the location contribute powerfully to a gastronomic experience. This year, the DNA took place on the 29th and 30th of September. On Saturday, the hours were 11:30am – 11pm, and on Sunday it was from 11:30am – 7pm. At this time of year, the event usually has great weather and it avoids the hectic tourist crowds of August. The festival takes place in the prime location of the beach front promenade of Marineta Cassiana. Lined with fragrant pine trees and palms, it curves along the cozily arched bay of crystal-clear turquoise waters. From wherever you are here, you look out onto beautiful vistas of the Mediterranean, sailboats, and the charming town of Denia. Enjoy strolling along the paved promenade with the beautiful beach on one side and the colorful food stalls on the other. Nearby is the Marina de Denia, a gorgeous place to walk along the sea wall and admire impressive sailboats and yachts. Not much further away, is the center and heart of Denia, with its 11th century castle, charming historical center, and colorful fisherman houses nestled close together in some of the oldest neighborhoods here. Experience the local culture from the traditional folk music being played live and mini parades that pass through periodically. Needless to say, Denia, in and of itself, is a great Mediterranean town in Spain to visit. 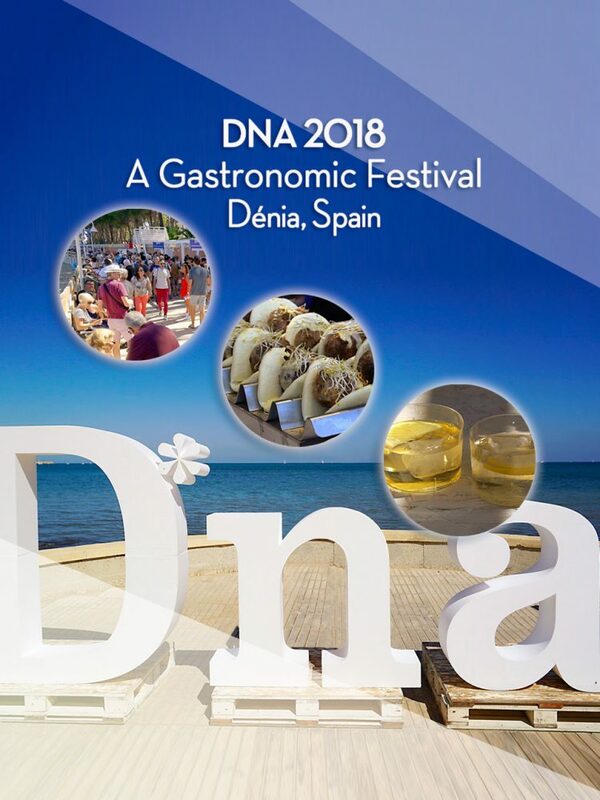 There’s plenty of wonderful options for where to stay in Denia when visiting the DNA Gastronomic Festival. So time to get tasting! 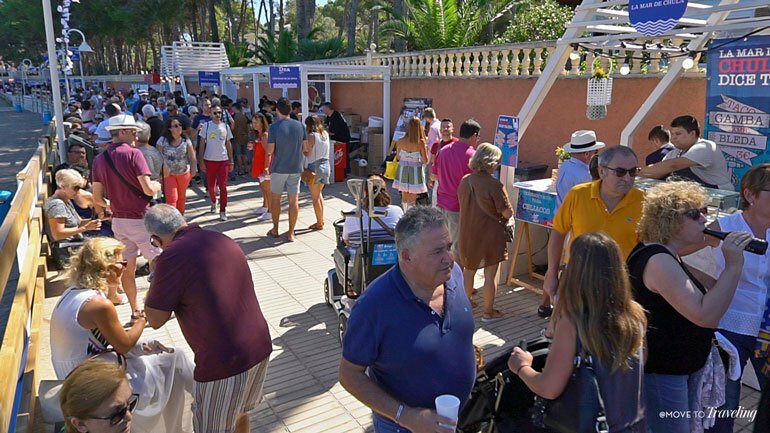 All along the promenade are various stalls from many of the local restaurants in the town and surrounding area, cooking and selling their tapas and local artisan products. There’s everything from handmade cocas and croquetas (croquettes) to amazing homemade ice-cream and pastries. 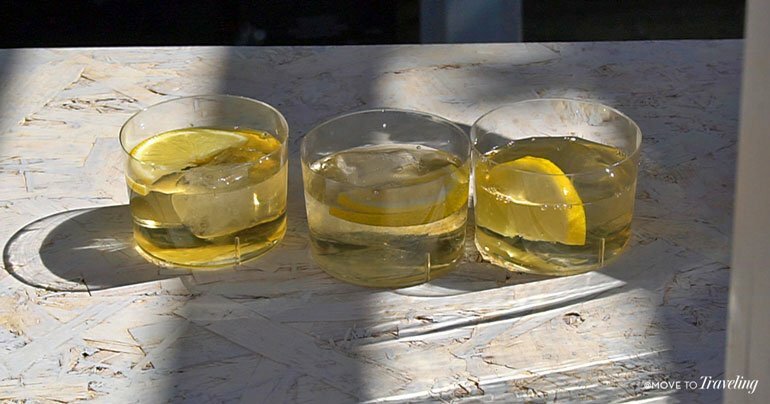 You can try a creative take on gazpacho and savor a new style of a figatel, the Valencia version of a slider. If you’re hungry for even more than tapas, don’t fret. 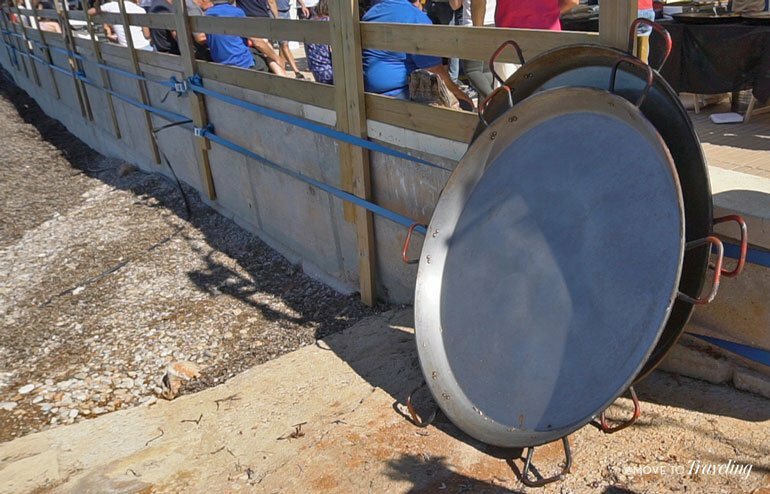 You’ll get to choose between various styles of paella, being made fresh in giant paella pans and served in generous portions by the plateful. 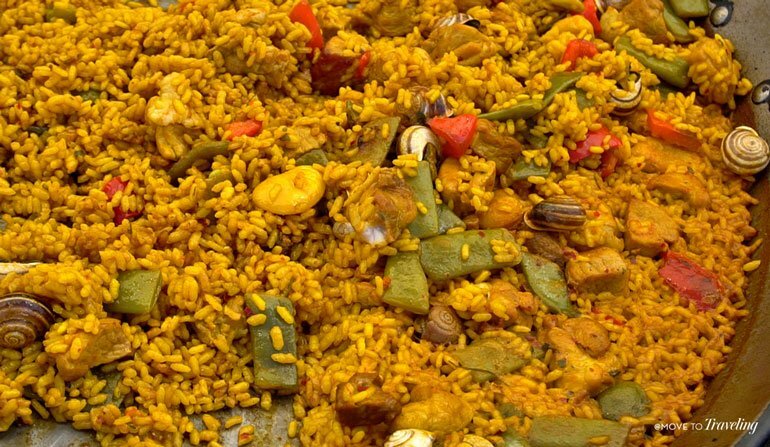 Go hungry because it may be hard to choose between the traditional Paella Valenciana, the Paella Negra, and other rice dishes. And of course, you won’t go thirsty. 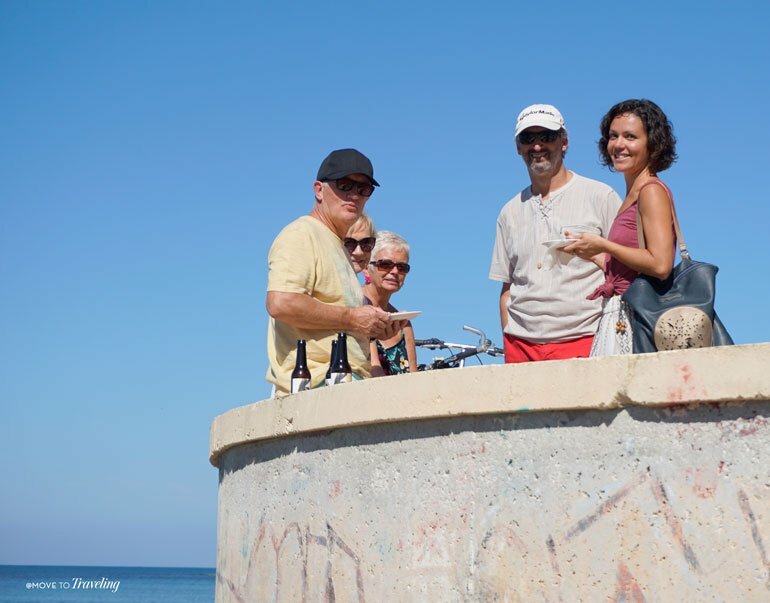 It’s a wine-lover’s paradise here, with various local bodegas to try superb wines from throughout the region of Valencia. There’s also plenty of Spanish beers on tap, local craft beers and local artisan drinks like vermút, our favorite! 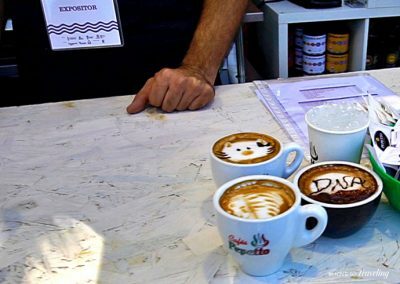 If you need to some pep to your step so you can enjoy the festival longer, enjoy a gourmet coffee that tastes and looks delicious. Not only do you get to enjoy the taste of so much different food and drink, but you can learn about them and how they are made as well. There are two different live presentation areas at the festival. In the middle is one small stage area for live cooking demonstrations. Then at the far end is a spacious presentation area, with a stage and large screen for watching the many guest chefs demonstrate and teach one of their prized recipes. They are all a creative assortment of international chefs who come from around the world to share their distinct skills and style of gastronomy. How much does an event like this cost you? It’s free to attend! 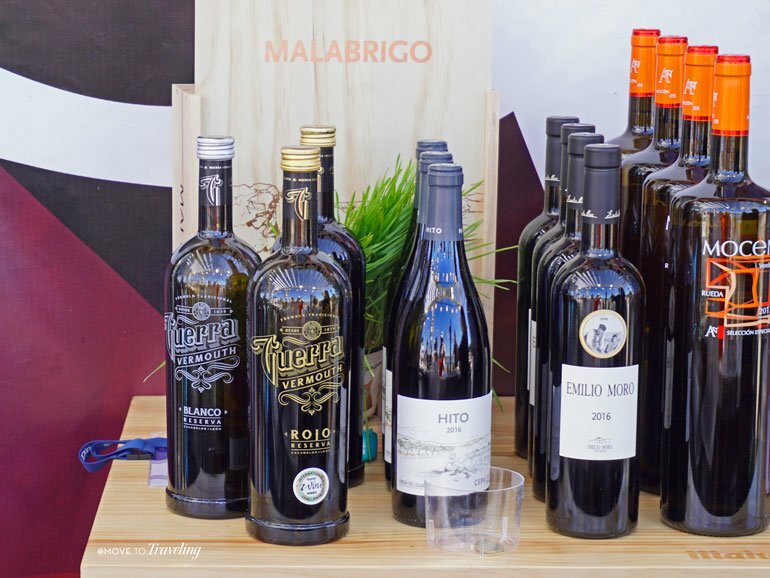 When there, you can purchase tapas, wines, beers and vermouths, and products as you like, directly from whichever vendor you choose. 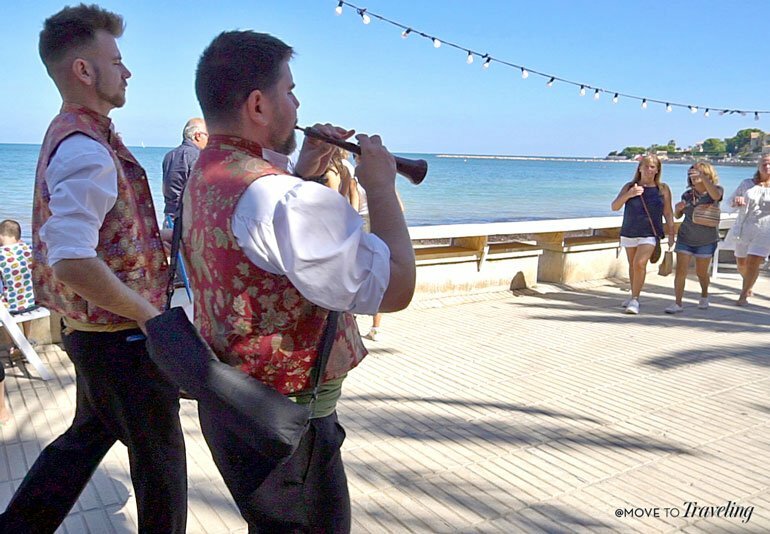 It’s a fantastic way to sample and savor local tastes that are part of the rich culture here in the Valencia Community and Denia’s area of the Marina Alta. Everyone is welcomed at the festival, with things going on for all ages. From games and activities for the kids to presentations and demonstrations for the adults, it’s somewhere you can enjoy with the family and friends. We went with two other couples, and were quite the international group. We’re from the US, Anita and Alan are from Glasgow, Scotland, and Tara and Adam are from the US and Britain. Talk about food bringing people together. Aside from getting quite warm from direct overhead sun, everyone enjoyed it and we’re excited to go again next year. Travel Tip: We went in the middle of the day, and the sun was quite hot, with little shade at that time. So be aware of what time of day you go and the weather. 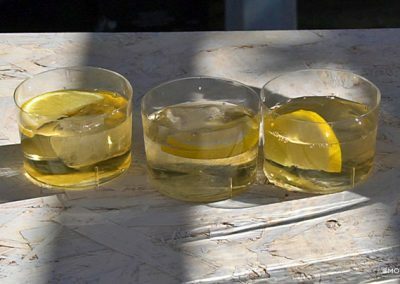 Who’s Behind One of the Best Food Events in Spain? Meet three time Michelin-star chef, Quique Dacosta. He’s the chef, spokesperson and curator of the DNA Gastronomic Festival. For some years now, his goal for the festival is to feature the cultural DNA of the Mediterranean Gastronomy. 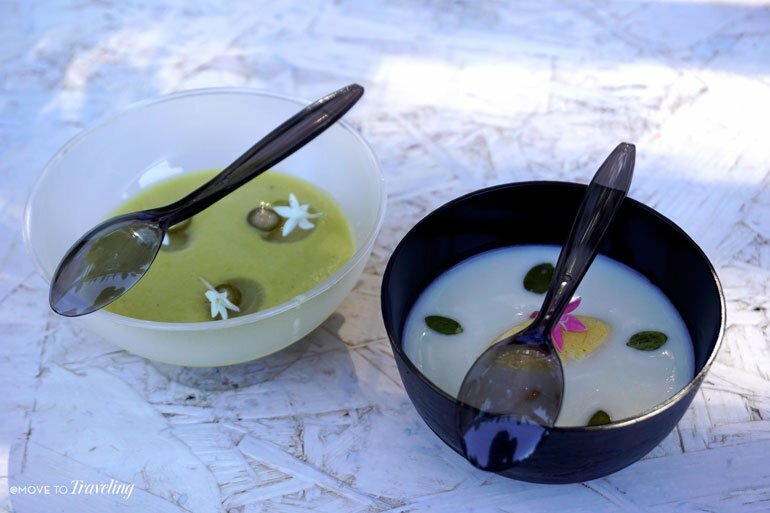 His three Michelin-starred restaurant, Quique Dacosta, is located in Denia, down the Las Marinas beach at the other end of town. 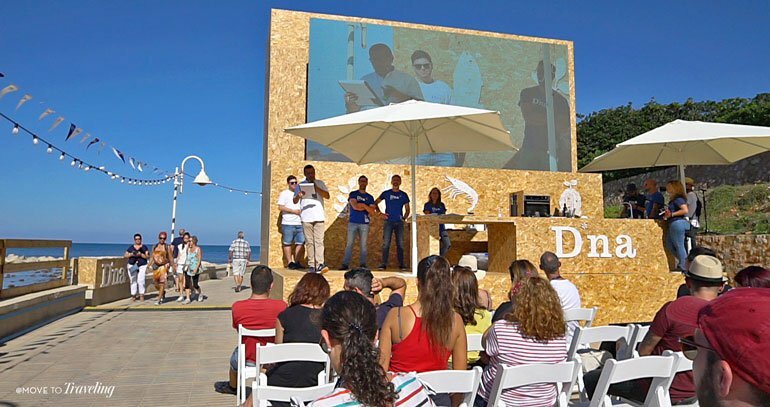 The event is organized by the Denia Office of Innovation and Creativity, the town hall of Denia, the Community of Valencia, and the government of Valencia. 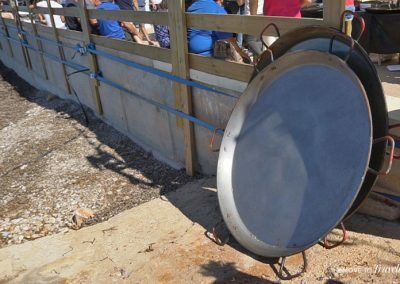 Along with many other local sponsors, one of the best food events in Spain is brought together and made possible. 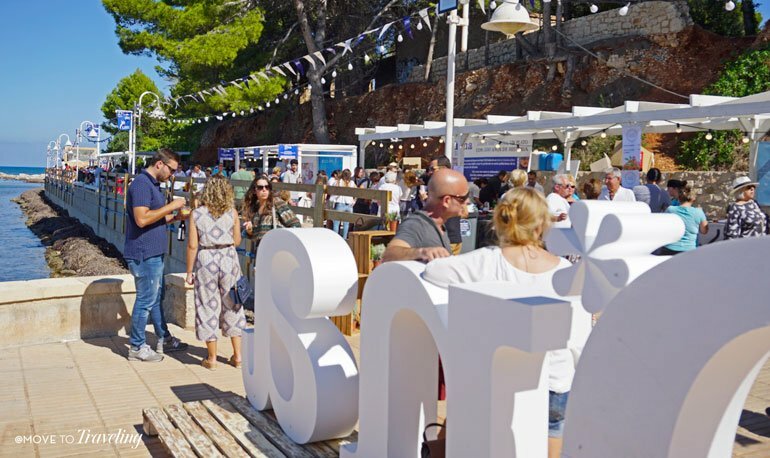 What we love the most, besides mouth-watering tastes and a stunning location, is the heart behind one of the best food events in Spain. 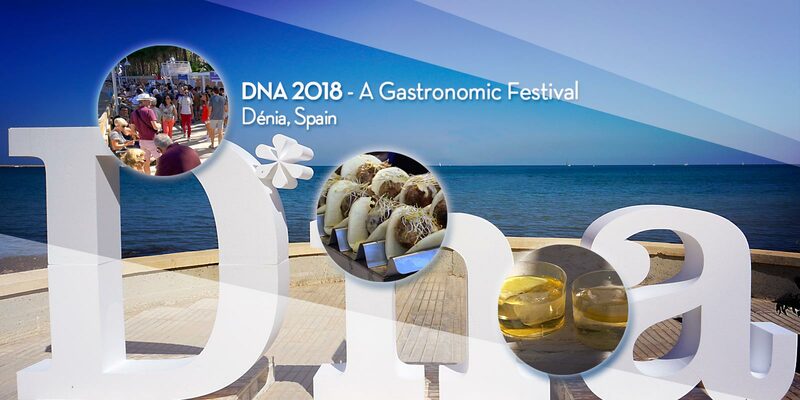 The DNA Gastronomic Festival is called DNA (spelled in some cases as D*na), because it values the roots of gastronomy that stem from the local culture and works to combine it with innovation and creativity for taking its gastronomy into the future. As long as we’ve lived here in Denia, we’ve seen, tasted and experienced this intentional appreciation for, and evolution of, the local Mediterranean gastronomy here. While at the festival, we especially noticed that the vendors and presenters went above and beyond to be creative and share a quality experience of what they had to offer. 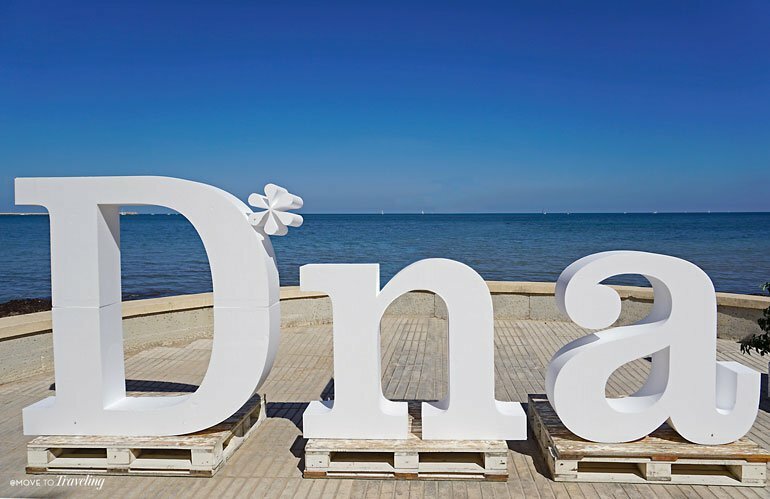 The DNA Gastronomic Festival may still be somewhat new, but by centering on its local gastronomical DNA, it is quickly becoming one of the best food events in Spain. It’s local, it’s innovative, it’s approachable and hands-on. 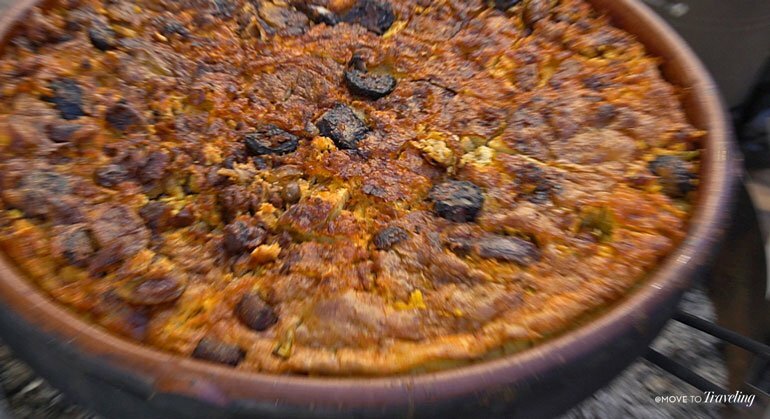 What a great way to discover and experience the Mediterranean cuisine of Spain. We hope to see you there next year! Remember to play in HD for best view quality.